Zsh, or z shell, is a popular shell alternative to bash and tcsh, complete with many improvements and customization options offered through the Oh-My-ZSH project. This change to zsh as the default shell will persist between quitting and relaunching Terminal, though any currently active shells or terminal windows would need to refresh or manually enter zsh. 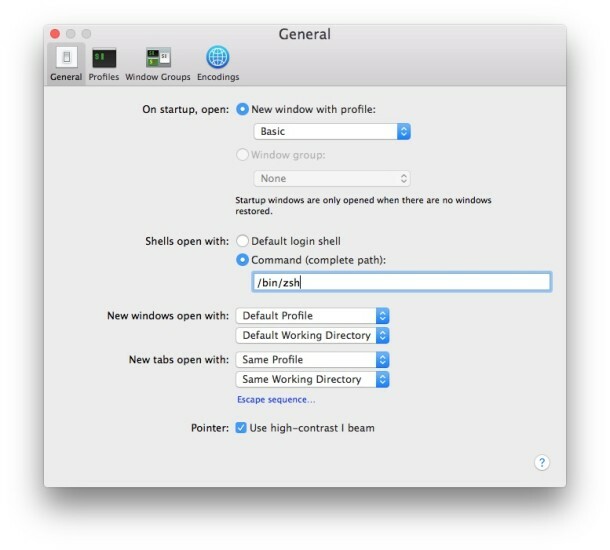 Yes there are other ways to do this, but interestingly enough, specifying a shell to open actually helps to speed up the Terminal app in Mac OS in many cases, so it may offer a performance boost as well (for the record, it doesn’t need to be zsh to get the speed improvement, you can change the default shell to anything available on the Mac for the same effect). 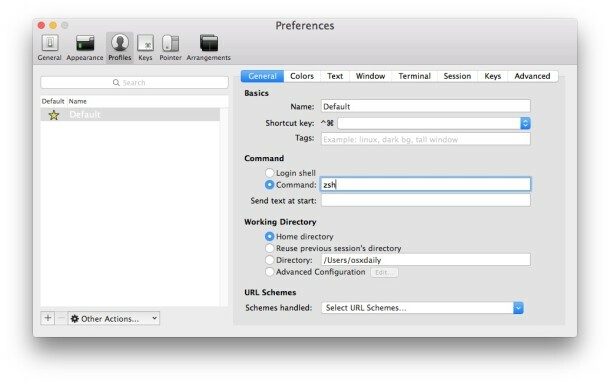 Now that you have zsh as your default shell in MacOS or Mac OS X, you may want to take a look at the great oh-my-zsh project at https://github.com/robbyrussell/oh-my-zsh to find themes, functions, and other customizations to bring to zsh. I use a Homebrew install of always the latest zsh (/usr/local/bin/zsh) together with prezto (also available on GitHub), which is a fork of oh-my-zsh meant to be cleaner & saner i.a. by using actual zsh syntax. Works like a charm. Couple that with some nice aliases, zsh-completions, and a well-oiled iTerm instead of macOS Terminal, plus Apple’s SF Mono font for your individual theme, and you have imho a great combination that looks and feels fantastic, but still “like Apple”. Not sure, though, but I heard that zsh is allegedly not POSIX-compliant. If you want that, i.e. a shell that will enable you to operate on any real Unix system, you’ll still need bash or ksh/mksh. But I don’t really see the need, because zsh seems ubiqitous nowadays: just execute `chsh -s “$(command -v zsh)”` on the other system, and you’re good to go with zsh. The biggest problems you’ll run into on other systems will probably stem from your getting used to your local system’s special functionality & aliases (by prezto or your own making), which won’t work on other systems, of course. 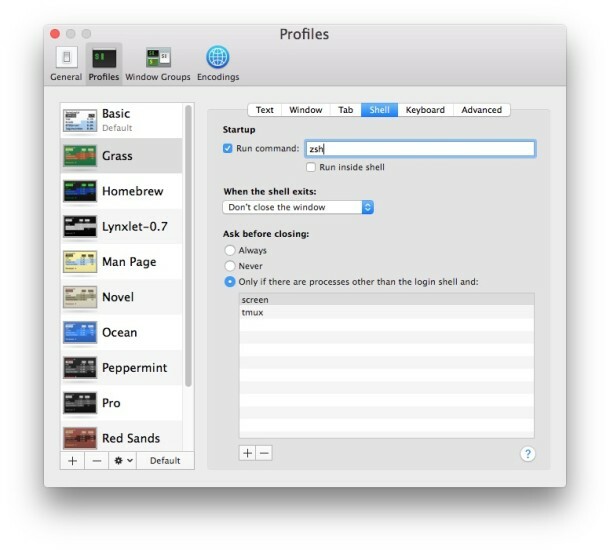 I’ve only ever changed shells in System Preferences > Users & Groups;Then ‘Right click on the Users icon’ and change from the drop down menu. I’m I too old for still using the TC Shell? I remember tcsh. That was an awesome shell. I haven’t thought about it in decades.